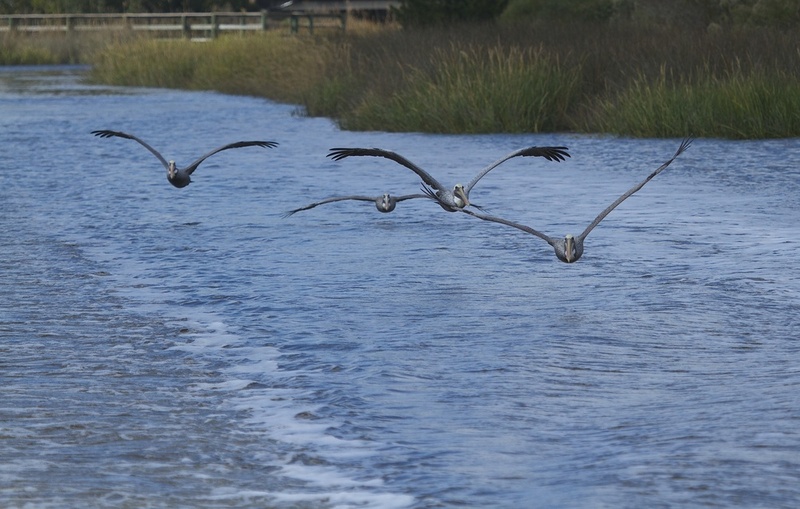 I know its Christmas time when the Brown Pelicans return and fly over the river. Guess who I saw this past week? What Christmas traditions do you have? In North America we often envision eight reindeer pulling Santa’s sleigh. This notion originates with an 1823 poem called A visit from St. Nicolas. In Louisiana Papa Noel has eight jolly green alligators “a pullin da pirogue”. In Alaska some envision those beautiful huskies pulling the sled. There are no reindeer in Africa. Wonder what traditions they have? Surely elephants can’t fly. Norse traditions of old had two flying horned goats pulling a sled with Thor, the God of Thunder that may have given origins to Santa and his flying sleigh. Well in Florida we have some unique traditions also and Pink Flamingos wearing Santa hats are just one. 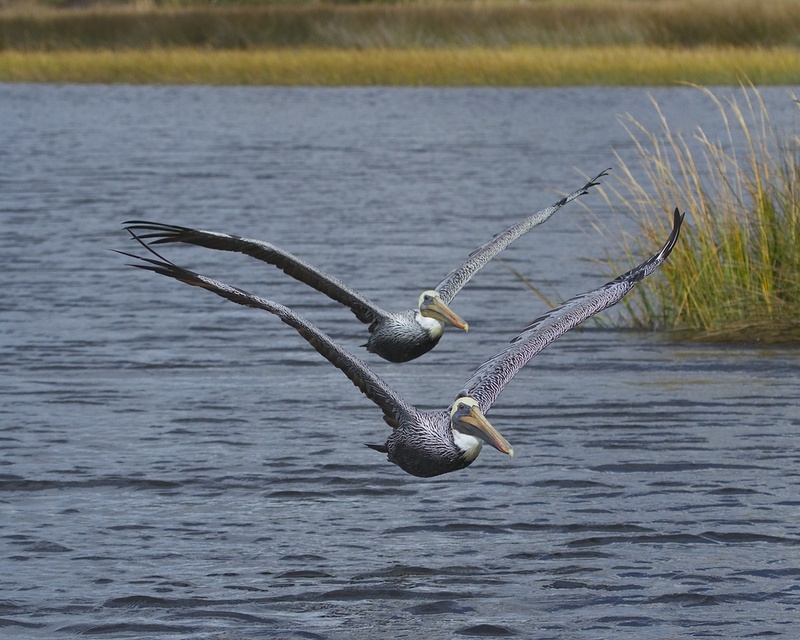 On the salt marshes we have eight Pelicans pulling a Jon boat and delivering Christmas cheer. 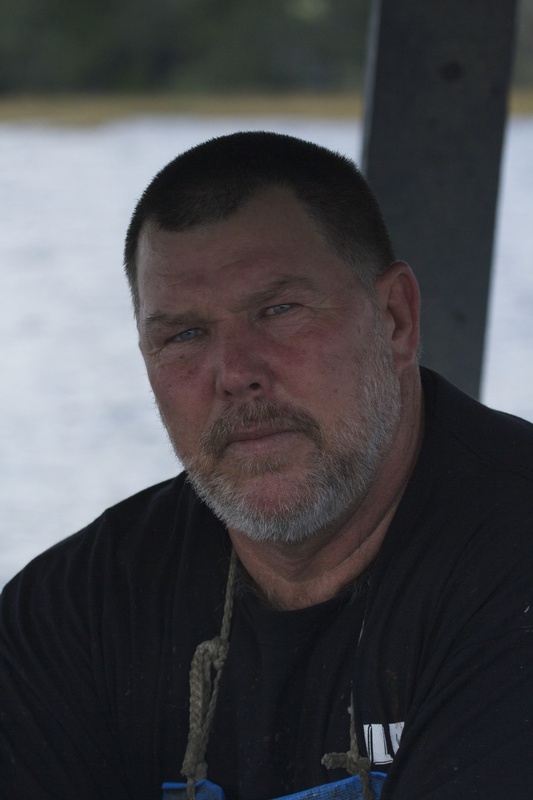 In one of my earlier blogs I introduced you to Tommy the Crab Fisherman. 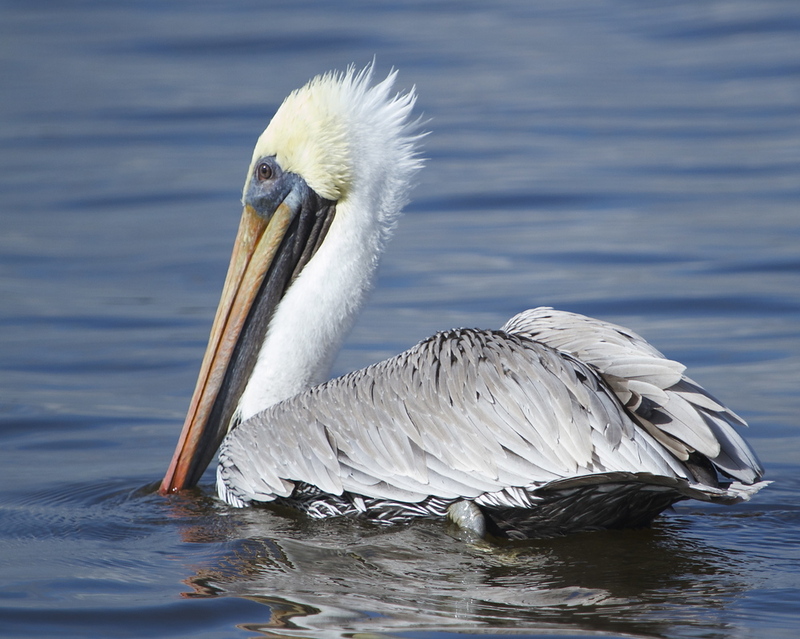 This time of year there are usually about a dozen Pelicans trailing Tommy as he runs his crab trap lines in the local rivers and marshes. 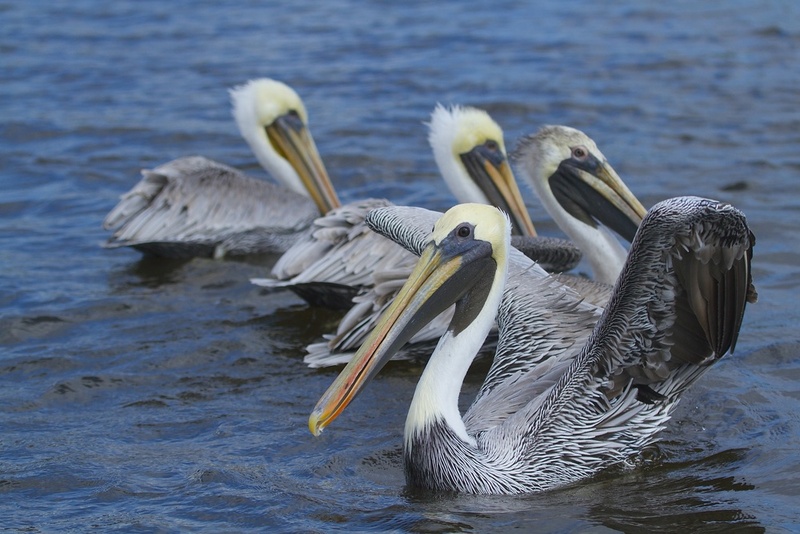 I rowed up to Tommy on my Kayak one day and asked him if I could tag along sometime and photograph the Pelicans. He agreed and recently I had a chance to do just that. Tommy has been crabbing all his life, working sometimes six or seven days a week to make a living. He enjoys his life on the river. It’s hard work and at times the crab are scarce. Tommy sometimes has to then take other jobs to make ends meet. He would much rather be back on the river crabbing though. He told me stories of the many birds he has rescued from fishing line and plastic can wrappers. One day he found an Osprey hanging upside down entangled in fishing line, nearly exhausted to death. Tommy carefully extracted the line. The poor bird was too tired to fly and just sat there, happy the ordeal was over. That is the kind of man Tommy is. 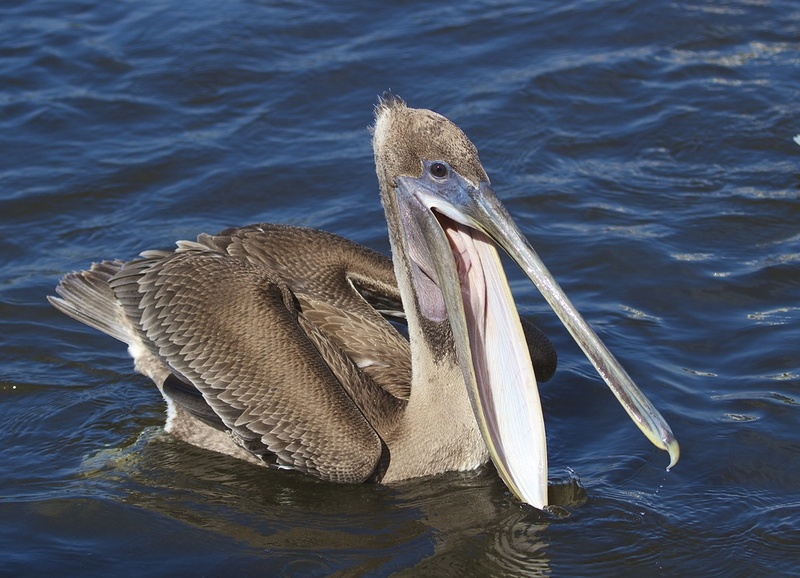 When he called to pick me up he thought there would be no pelicans but we gave it a try. 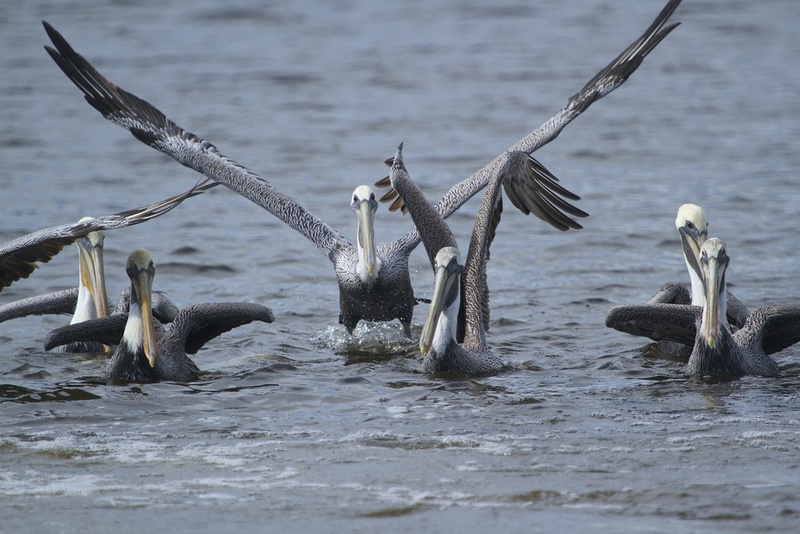 At first there was only one, then two, and finally about a dozen Brown Pelicans were following us up and down the Broward. A few White Pelicans also joined the parade. I only took about seven or eight hundred photos. 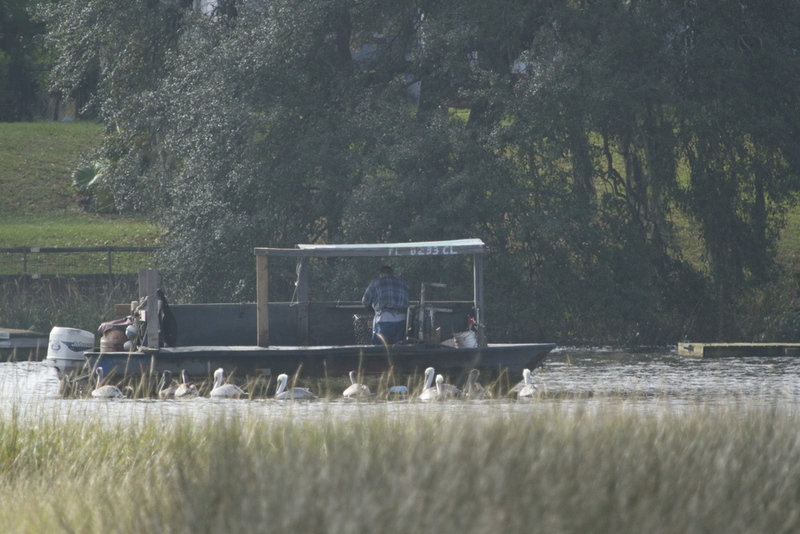 Tommy has a captive audience of Pelicans as he runs his crab traps on the Broward. Enroute to pick me up, a few Pelicans begin to gather. Tommy has been crab fishing all his adult life. He worries that over regulation may kill the crab fishing trade though. 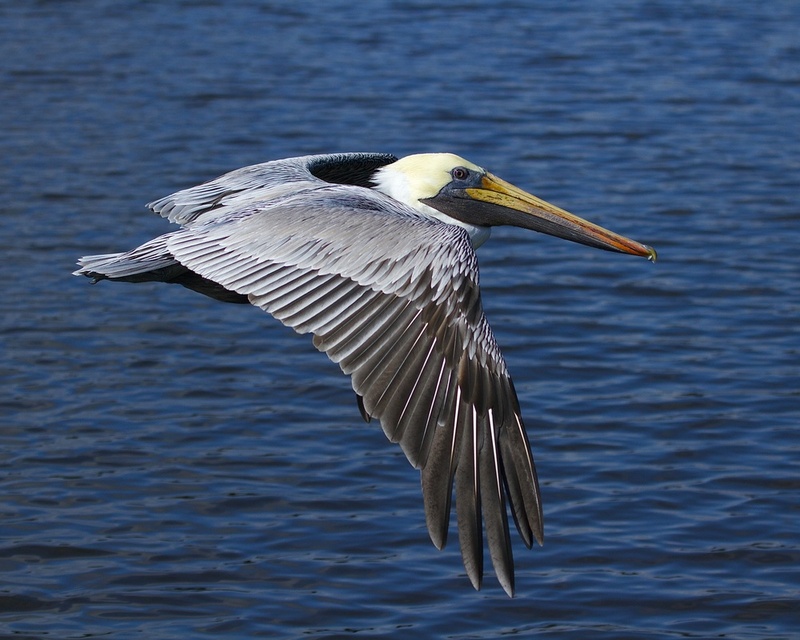 First one Brown Pelican appears gliding by. Wait for us..more begin to follow. 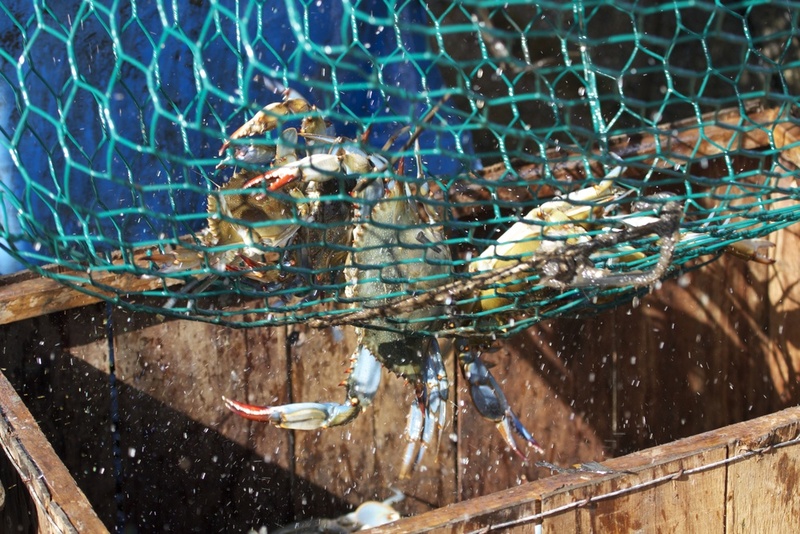 Fresh Blue Crab go into the box. Eager beaks await some spare bait fish. Say Ahhhh!..aw just gimme some fish! 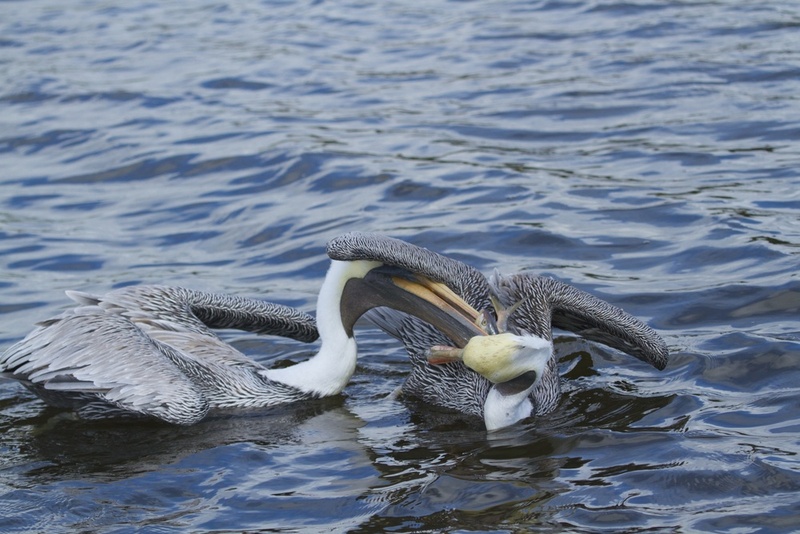 Juvenile Brown pelican. A fish fight begins, one robs the other. 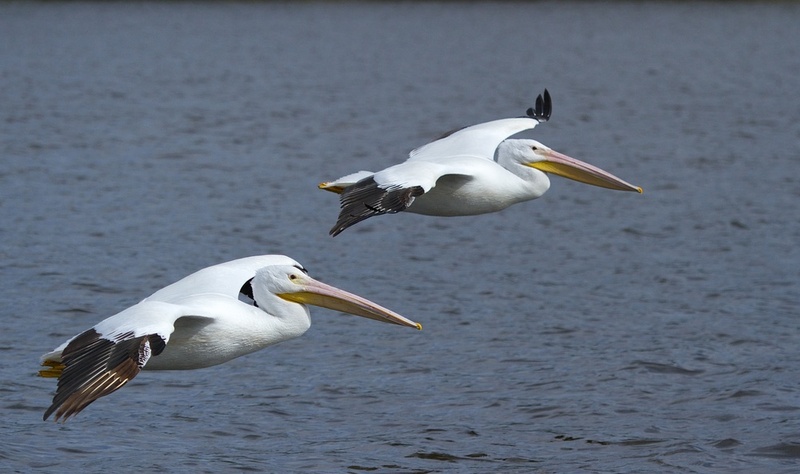 Two White Pelicans join the parade. 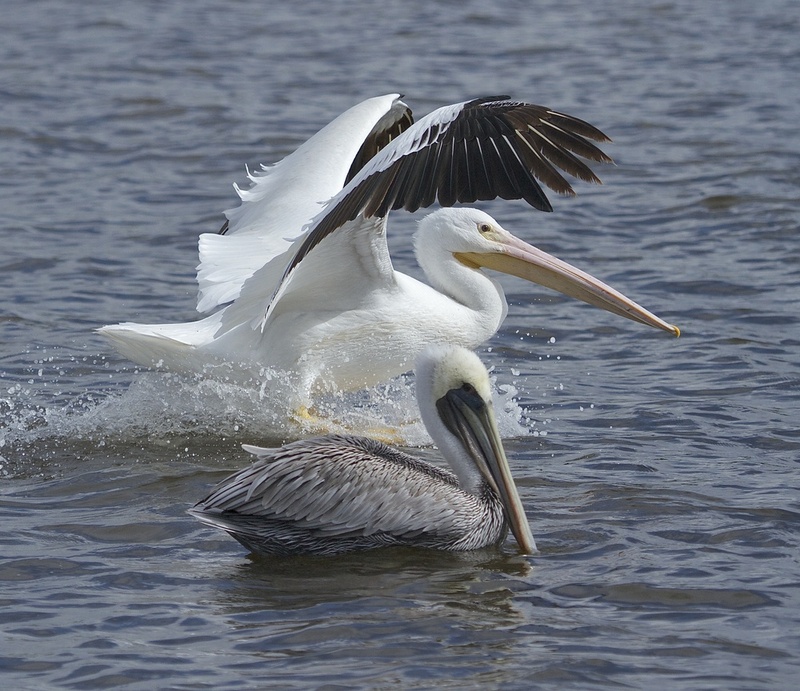 The White Pelican is nearly twice the size of the Brown. Lift off, Houston we have lift off! Bye Mr. Tommy, thanks for the ride! 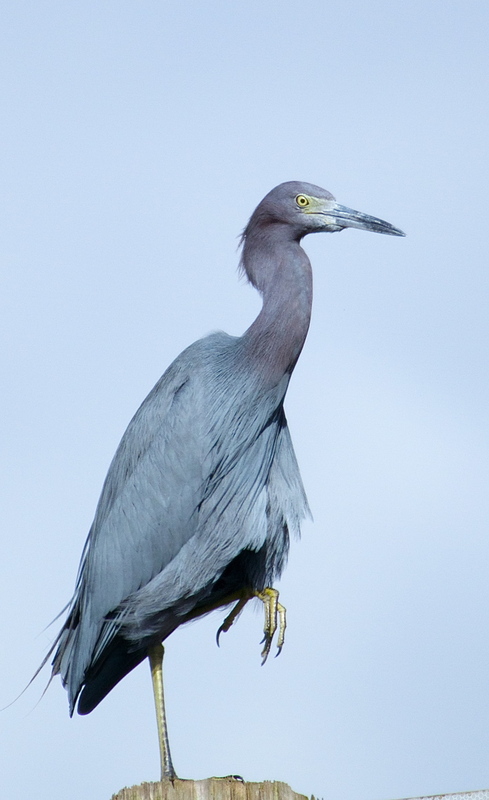 Little Blue Heron bids us goodbye.